It is important to keep your car maintained for the safety of everyone on the road. You can perform basic maintenance on your car and save money in the process. Basic car maintenance can be quite simple and affordable. 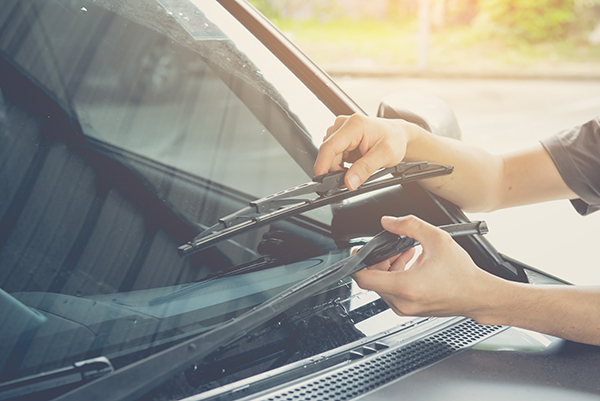 Replacing windshield wipers is easy enough for any driver to do, and the experts at CarRegistrationAdvisors.org recommend the following tips to easily perform this maintenance yourself. Changing your windshield wipers is a relatively easy task for any driver to accomplish. The CarRegistrationAdvisors.org team knows it may seem intimidating at first, but with a little practice, it will become second nature. Start by pulling the entire wiper blade up toward the sky, so it is completely vertical. Make sure to turn the blade to make a right angle with the arm so you can see the tab. You must pull the tab and pull the wiper down toward the car. This separates the wiper blade from the arm, so you can safely remove the blade. The team at CarRegistrationAdvisors.org recommends that you prevent the arm from hitting the windshield after you remove the blade, as the arm can scratch your windshield if it hits it hard enough. Once you learn how the wipers are attached to the arm, replacing your wiper blades becomes a simple task. The team of experts at CarRegistrationAdvisors.org suggests paying close attention to how you remove the blades. This will allow you to learn how your wipers attach, and it will make it easier for you to replace them. Start by inserting the arm through the correct hole in the wiper blade. If you aren’t sure which hole is correct, hold the hinge at a right angle to the wiper, and make sure it lines up properly. Once the arm is in the appropriate hole, simply push the two pieces together. If you hear a click, it has attached properly. Once you lower the arm, you are good to go. Windshield wipers are a vital component to your vehicle. It is extremely dangerous to drive without proper wipers. You will not have any visibility in rain, sleet or snow. Driving without reliable windshield wipers can easily result in a collision or injury. The team at CarRegistrationAdvisors.org suggests testing the wipers before you drive anywhere. Make sure they are working properly before you are faced with any inclement weather. You do not want to realize you didn’t attach your wipers properly when you are driving during a rainstorm. If you are unsure if you attached them securely, you can always reference the instructions included in the wiper package. Every new set of windshield wipers comes with an instruction manual that you can use if you get lost within the assembly steps. A step-by-step guide can be useful if you are replacing your wipers for the first time, and after a few times you will become accustomed to this basic car maintenance procedure.